The relationship between wine grapes and virus diseases is similar to that between humans and health problems such as the flu, chickenpox, and even AIDS. Visible effects of viral diseases range from decreased grapevine growth and performance to impaired quality of vital characteristics (berry weight and color and sugar content, etc.). Studies in viticulture regions around the world show that these negative impacts, if left unchecked, translate into diminished or even destroyed economic returns and consequent loss of income. Nearly 60 different documented viruses infect grapes worldwide, which is far greater than the number of viruses documented in any other single perennial crop. It is therefore important to tailor management decisions to protect against grapevine vulnerability to a broad range of viruses with distinct epidemiological characteristics. Some viruses are spread by insect vectors and others by soil-inhabiting nematode vectors. Since wine grapes are propagated by vegetative cuttings to maintain varietal integrity and clonal identity (true-to-type), all these viruses can be spread from place to place through the distribution of infected vegetative cuttings. Viruses infecting grapevines can be broadly divided into 2 groups based on their economic significance and geographic distribution. The first group consists of major diseases (also called traditional diseases) that are of great economic concern to viticulture and the global wine industry. These include grapevine leafroll disease (GLD), rugose wood (RW) complex, and nematode-borne viruses. The second group consists of minor diseases that are of less economic significance and/or limited geographic distribution. The majority of grapevine-infecting viruses fall into this latter category. It should be noted, however, that all viruses, irrespective of their economic significance, are considered equally important with respect to quarantine regulations and maintaining the sanitary status of a vineyard. Although the biological and molecular characteristics of many viruses associated with specific grapevine diseases are well documented, the causal agent(s) of some grapevine diseases remain unknown. Such diseases are called “virus-like” since the symptoms mimic those caused by viruses. As with virus diseases, virus-like diseases can be transmitted by grafting. Thus, viruses and virus-like agents are also known as graft-transmissible agents (GTAs). Among the virus and virus-like diseases infecting grapevines worldwide, GLD is considered the most destructive. It occurs widely in almost all grape-growing regions (including the entire Pacific Northwest) and accounts for about 60% of the global grape production losses due to virus diseases. GLD is one of the most complex viral diseases known to infect plants. Virologists have identified 9 grapevine leafroll-associated viruses (GLRaVs) in wine grapes showing GLD symptoms. They are numbered GLRaV-1 through -9 in order of their discovery. GLRaVs have a great deal of diversity in their genome organization and gene content and may infect a grapevine separately or as mixed infections of different combinations. Consequently, it is not clearly established whether the induction of GLD is due to a single GLRaV infection or requires a mixture of GLRaVs. 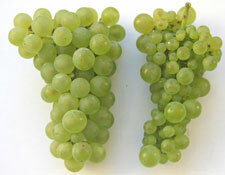 GLRaVs can also occur as mixed infections with other groups of viruses infecting grapevines. Mixed infections often result in synergistic effects leading to more severe damage to grapevines than single infections. Of the 9 GLRaVs, 6 (-1 to -5 and -9) have so far been found in Washington vineyards. Among these, GLRaV-3 is the most common and widespread. All 6 GLRaVs occur in mixed infections of different combinations in GLD-infected vines in Washington State vineyards. Similar to GLD, the etiology of RW complex is multifaceted and not yet completely understood. At least 4 viruses have been found associated with different types of RW diseases. They are grapevine rupestris stem pitting-associated virus (GRSPaV), grapevine virus A (GVA), grapevine virus B (GVB), and grapevine virus D (GVD). 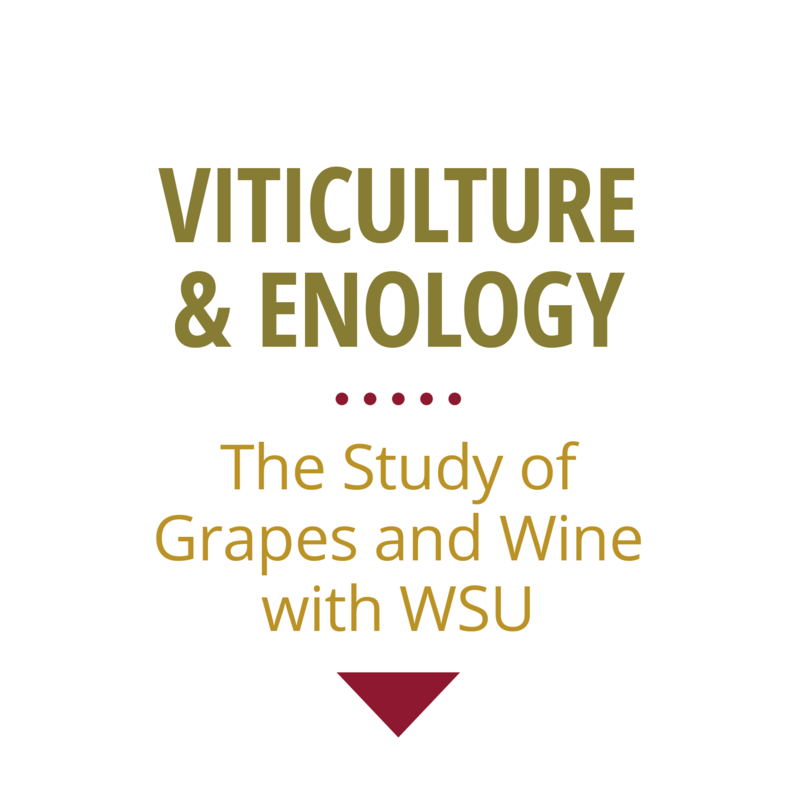 Recent studies at WSU indicate the occurrence of GRSPaV, GVA, and GVB in different wine grape cultivars in Washington vineyards. These viruses do not show obvious symptoms in own-rooted wine grape cultivars, which can therefore serve as RW complex carriers. GRSPaV, GVA, GVB, and GVD may also occur as mixed infections among themselves and with different GLRaVs. Grapevine fanleaf, an infectious degeneration disease, is the oldest known virus disease of grapevines. It is believed that grapevine fanleaf virus (GFLV) originated from ancient Persia and spread to other grape-growing regions via transport of vegetative propagative materials. Consequently, the disease has become established as one the most serious and devastating grapevine virus diseases worldwide. The disease can cripple infected grapevine with misshapen leaves, short internodes, zigzag growth of canes, and poor berry set. The disease also has detrimental effect on fruit yield and quality, and longevity of grapevines. All cultivars of wine grapes (Vitis vinifera) are susceptible to the disease and severe economic damage with yield losses up to 80 percent have been recorded in many sensitive cultivars. To date, fanleaf disease has been observed in Washington vineyards in four wine grape cultivars (Pinot Noir, Merlot, Cabernet Franc and Chardonnay). Since these cultivars were planted in different years in geographically distinct vineyard blocks by unrelated growers, it is likely that infected planting materials were introduced from multiple sources. In Pinot Noir, infected grapevines showed a broad range of symptoms consisting of fan-shaped leaves mimicking the “lady’s fan” (and hence the name of the disease) with toothed margins, vein-banding and yellow mosaic symptoms. 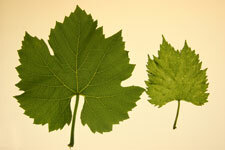 In Chardonnay, infected grapevines showed fan-shaped leaves and yellow mosaic symptoms, but not vein banding symptoms. 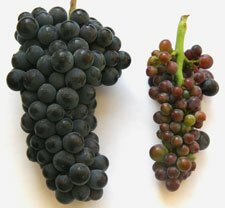 In both cases, infected grapevines produced small clusters with poor fruit set, irregular ripening and shot berries. Although fanleaf disease has so far been detected only in Washington vineyards, the virus is likely to be present in Oregon and Idaho vineyards. Several viruses transmitted by different nematode species, collectively known as nepoviruses, have been documented in many grape-growing regions around the world. Although none of these nepoviruses have been documented thus far in the Pacific Northwest region, utmost vigilance is required to avoid their introduction, since nematode species present in soils of the region can potentially spread some of these nepoviruses. Recently, Tomato ring spot virus was observed in a vineyard in Oregon and this virus can be transmitted by X. americanum. Due to the vegetative propagation and perennial nature of the grapevine, co-infection of several viruses can occur in the same plant. Research conducted at WSU’s Irrigated Agriculture Research and Extension Center in Prosser has shown that fanleaf virus can occur frequently as a mixed infection with other grapevine viruses. 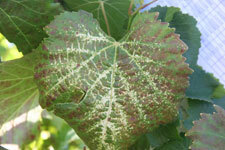 Figure 4 shows grapevine leaves with grapevine leafroll and fanleaf disease symptoms due to mixed infection of both diseases. It is therefore advisable to test grapevine cuttings for different viruses to ensure the cleanliness of planting materials. If you find any suspicious symptoms, contact the grape virologist at WSU.